Heart & Health Medical (Massapequa) - Book Appointment Online! 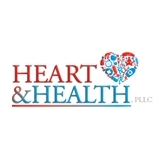 The knowledgeable staff at Heart and Health PLLC in North Babylon,Middle Island and Plainview Long Island provides personalized attention and excellence in family medicine and cardiovascular care to fit the needs of each patient. Our cardiologist and family physicians can see to all of your health care needs. Kimberly Levy RPA – C specializes in family medicine and Maria Rodriguez RN specializes in Diabetic care, Weight loss, Nutrition and holistic medical care. Heart and Health delivers comprehensive and compassionate health care to patients all across Long Island. Heart and Health have been voted Best of Long Island 2013. Heart and Health works along with your primary care physician to help care for your heart and your overall well-being for a longer and healthier life. Heart and Health has won the Patient Choice Award and Top Cardiologist. He is aware about everything I told him. The Doctor is great and nice Doctor.